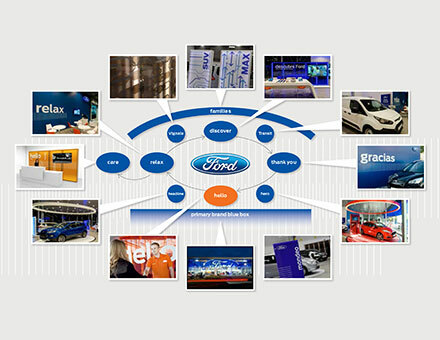 Exterior identity and interior showroom design moving Ford into the digital age. 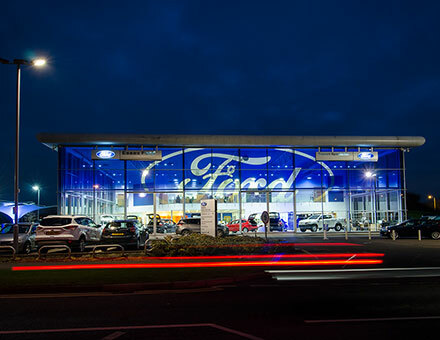 An enjoyable, relaxing retail destination, FordStore is designed to create a sense of pleasure and pride within Ford owners and retailers alike. 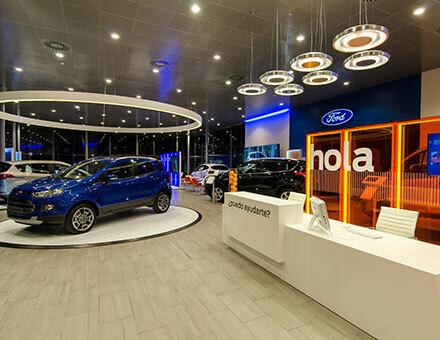 A visit to FordStore will deliver an interactive customer experience within a user-centred space, filled with intelligent digital solutions to offer customers a connected retail experience. 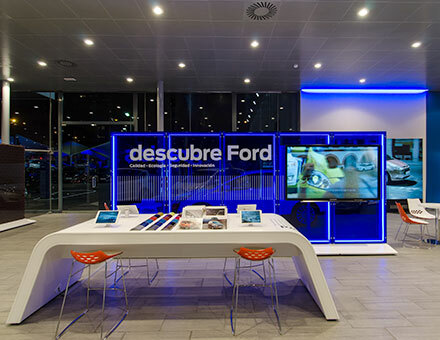 Using bold colour, simple language, zoning, and interactive connected content, FordStore delivers an extended experience that is innovative, personalised and intuitive. Development and design of all brand elements and furniture, as well as dealer corporate identity guidelines. Design implementation and roll-out coordination of selected European showrooms.